Though each individual name on the bill tried to outperform the other, #MOGO2013 ended as a night of victory for authentic Ghanaian music. The event consciously reflected its tagline ‘celebrating the past, inspiring the future’ when some of the best older generation musicians shared the same stage with the best of the current generation to deliver quality entertainment to patrons. From Samuel Owusu’s opening performance through to Kwabena Kwabena’s ‘adult music’ closing performance, the National Theatre was filled with cheers, applause, singing and dancing. 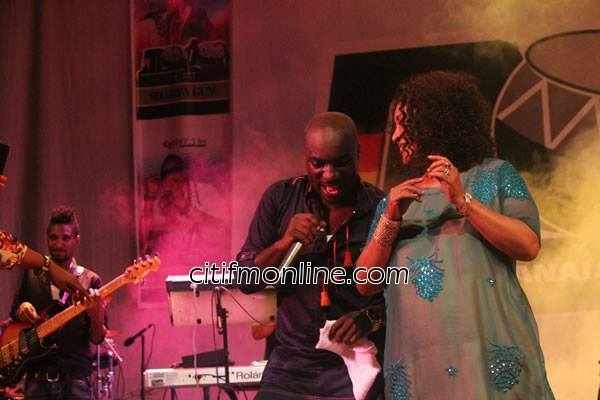 The audience joined to Samuel Owusu to sing his back to back hits. Awurama Badu showed why she is the queen of authentic highlife. K.K. Fosu then took over and also delivered a superb performance. His performance got quite emotional when he sand one of Amakye Dede’s old tunes to pay tribute to the late Ronnie Coaches. It was evident that he was in grief while he performed as he tried to hold back his tears. Sherifa Gunu, the princess from the north, performed for the first time one of her yet to be released singles. Her energy, choreography and singing were just on point! 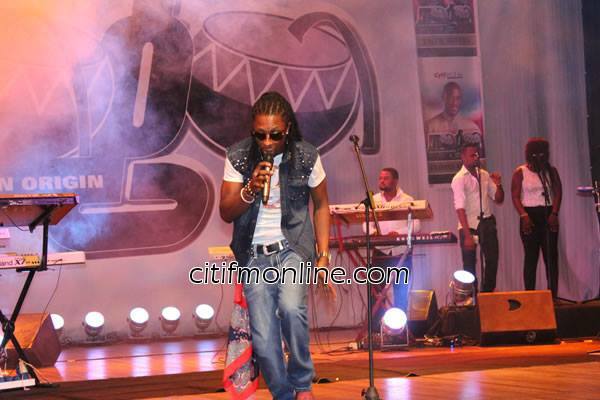 Kweisey Pee got the ladies on the feet throughout the event when he mounted the stage. Okyeame Kwame started with ‘faithful’, melted the auditorium with ‘woara’ and took patrons way back to ‘ma te ahwe ne dom’ and ‘menko me da’ among others. 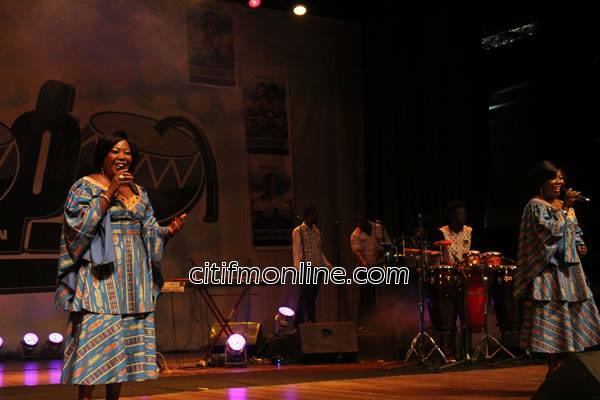 The Tagoe Sisters promised a Holy Spirit filled night and it was indeed a night of praise and worship. They held the audience spell bound with their exceptional melodious tunes. 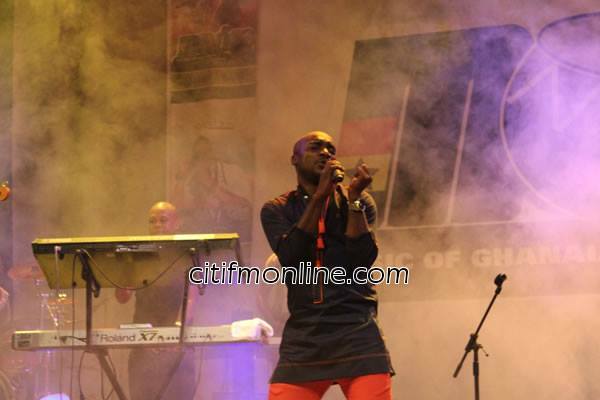 Kwabena Kwabena’s opening performance was preceded by a ‘merry christmas’ message and a loud cheer from the audience. From then on, it was just singing, clapping, dancing and good times. #MOGO2013 really lived up to expectation! #MOGO2013 was sponsored by Zenith Bank, Guinness and supported by PKOG, Paloma Hotel and Topp Core Security. 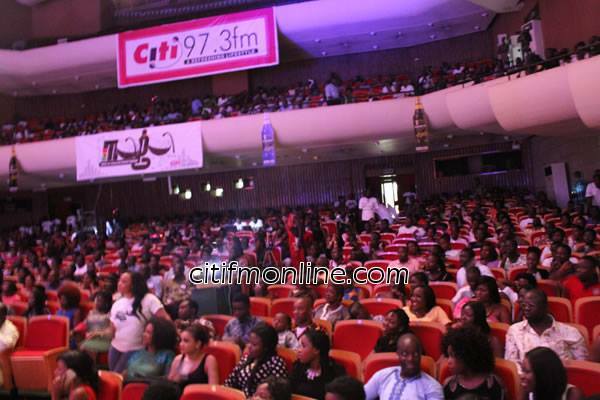 The next major Citi FM event, December 2 Remember, is scheduled for the 24th of December. 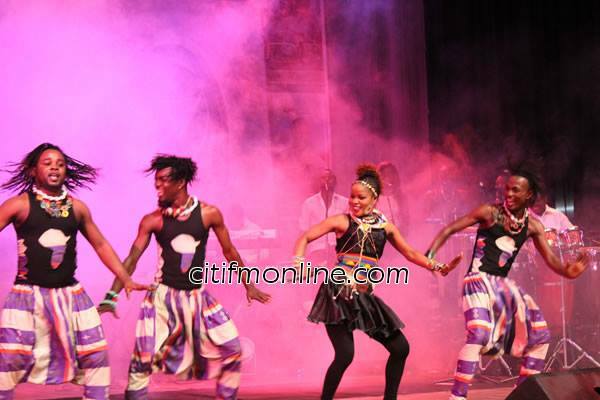 PHOTOS: Citi FM #MOGO2013 lives up to expectation 0 out of 5 based on 0 ratings. 0 user reviews.